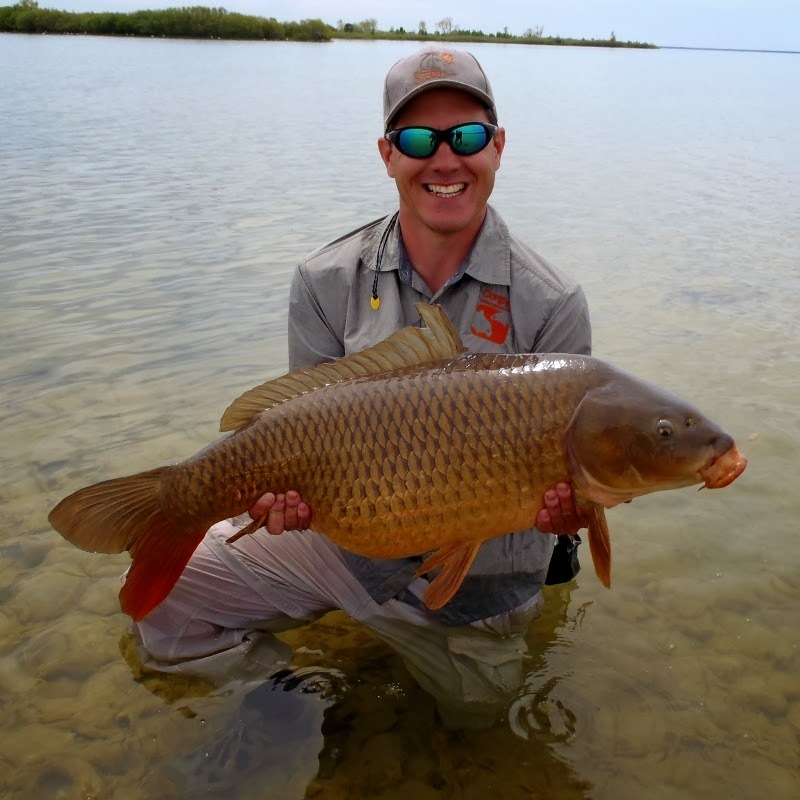 Fly-Carpin: CARPTORIOUS: March Carp Stillwater Action! 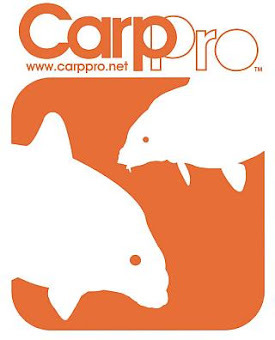 CARPTORIOUS: March Carp Stillwater Action! There is definitely such a thing as "The Bogger Effect". There has to be. 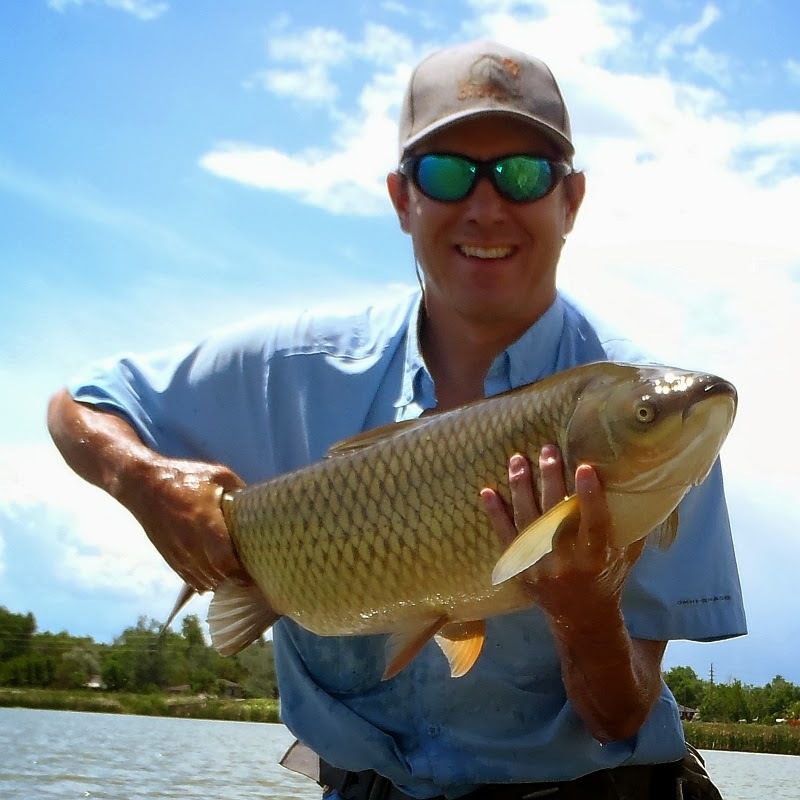 I have been on a major roll fly fishing for carp since the second I started blogging. 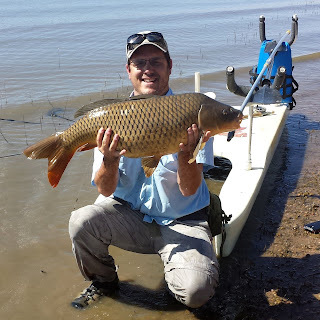 Today catching a carp was the last thing I had planned. Last night I finally figured out the foam version of my worm. It is pretty sweet - I included a YouTube video of the bath-tub test below. I plan on submitting it to a contest in the next week and at least wanted to bang around the final version before I mailed it off. The Mommasita was kind enough to authorize an hour or so of testing at the local ponds. My favorite local pond iced-off on Thursday so I figured I would go there. 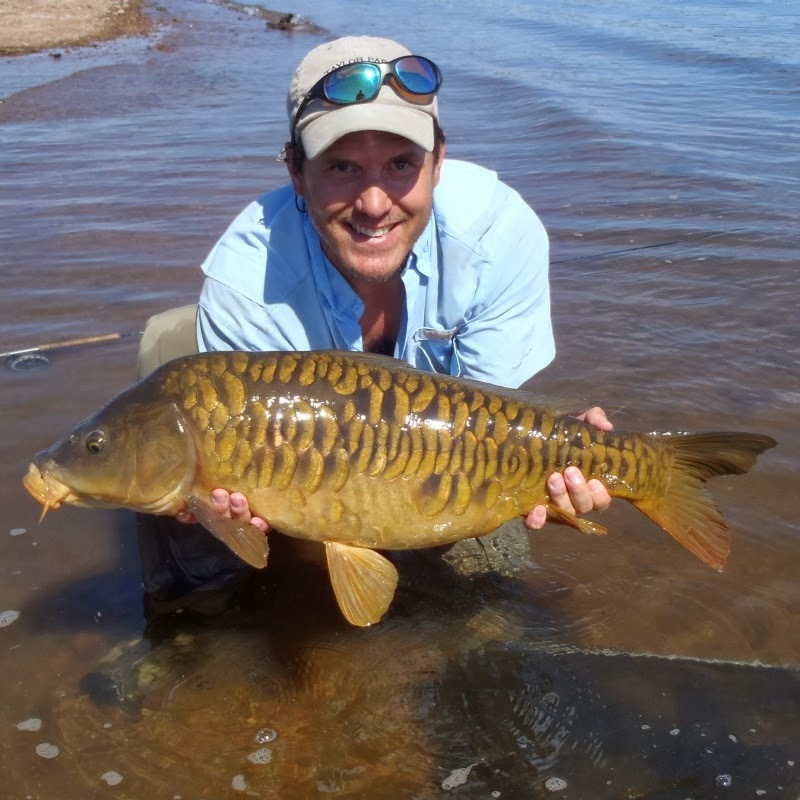 The carp really shouldn't be up feeding for a week or two yet, but I really just wanted to thrash the water and bang the fly into a tree or two....or so I thought. I walked right up to the bank ready to flail empty water and what do I see? Tail. Still-water tail waving hello. No luck with that one but suddenly I am hustling down the bank checking out all the usual spots. Twitching the whole way like Dave Chappelle in his crack-head skits. I think size 8 was a little intimidating to the smaller (and currently sleep-feeding) carp that frequent this pond and the first several shots received only startled looks and a slow retreat. 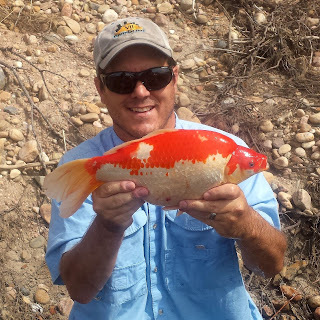 Eventually I found a 24" monster (average is 16-17") that was not intimidated at all! After 4 months fishing only rivers them there are some of the sweetest still-water carp lips a man could ask for! 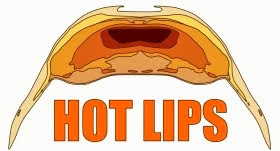 Them There Are Some Sweet Still-Water Lips! ﻿That fly was a little fubar after this fish which highlighted a possible durability issue I was worried about. The only other one I had with me is the actual fly I am going to submit to the contest. The issue was fixed on this one. About 15 minutes later a little 15 incher pounced as I swept the fly through its vision. 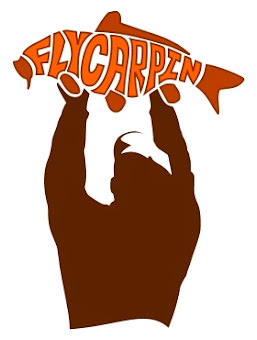 I hope Outdoor Bloggers Network and Montana Fly Company don't mind. That smelly package they are about to receive in the mail? That's Carp-Stench baby! I'd like to see an upclose pic of the foam worm. I'm diggin' the action in the bathtub test. I think it has some potential as a smallmouth pattern in some slower pools. I plan on a post tommorow or the next day giving the details. I am sure that you are right on the smallies. Probably slay em in riffles as well as long as it isnt too deep. Not sure about the color though. A nice brown or orangish brown maybe. Yes, need a recipe. Based upon the bath-tub test alone, I think you're definitely on to something. Both the foam and leather versions are great concepts !! I am busy doing small mod's to adapt them for saltwater use. Will let ya know how they work for "croakers" when they come up the bay. They love marine worms. They will (of course) be put into action against my tidal river carp. JM - Keep us informed, sounds cool. I am thinking the hard part will be the hook. 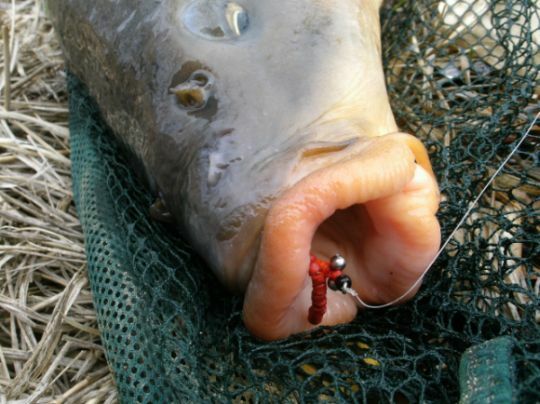 I dont think they have scud hooks in salterwater finishes correct? Maybe a 60deg jig hook of some kind would work.